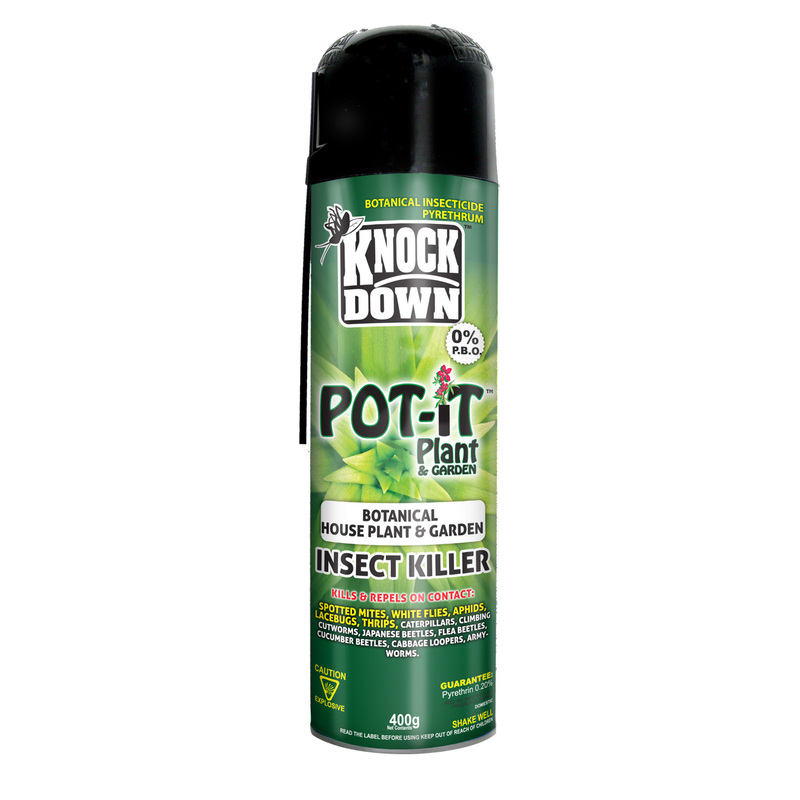 KD404D – KNOCK DOWN –Pot-iT™ Botanical House Plant & Garden – KUUS Inc. Custom cap with holder for extension tube for precise spraying on plants or for cracks and crevice spraying. *Do not spray fruit or vegetables within 3 days of picking. Wash fruit and vegetables before eating. Flies, gnats, mosquitoes, hornets, wasps, whiteflies (indoor plants only), and small flying moths. HOUSEPLANT PESTS: Kills Ants, Aphids, Caterpillars, Leafhoppers, Spiders, Whiteflies, Mealybugs, and Spider Mites on houseplants such as Ivy, African violets, Impatiens, Geraniums and Begonias. Hold container 45 to 60 cm from plants being sprayed. Cover upper and lower surfaces of leaves. Avoid wetting foliage with spray. Use short bursts of 1 second for spot application on new growth. Use caution on young plants and new growth. Not for use in greenhouses, vegetable gardens or on food-bearing plants.